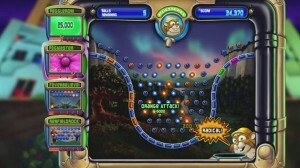 Both Peggle and Angry Birds feature a style of gameplay which I call Fire and Fixate gameplay. That is, the player offers an initial input to a semi-(human)-predictable system and then watches as the consequences of that input play out. 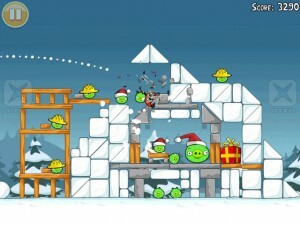 For the uninitiated, in Angry Birds the player fires kamikaze birds from a slingshot at a pile of physics driven wood, glass, stone and pigs. 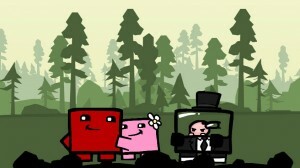 The idea is to injure the pigs. Wow—somehow when you describe the objective of a game as injuring farm animals it sounds a lot worse than if you just say “you have to kill the pigs.” Hmm. 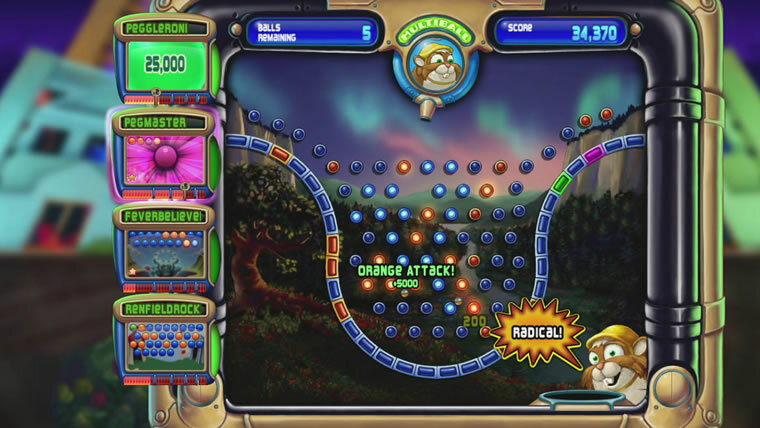 Anyway, in Peggle you aim a turret which releases a ball into a screen filled with pachinko pegs and watch it make its way to the bottom, hitting bonus pegs and generally adding to your score. In both of these games the player does something and then watches for a while and then does something again. There is certainly a degree of strategy involved. You next move frequently depends on the outcome of your last and the response from the system is predictable within the first one or two reactions. After that, however, it’s left to fate. 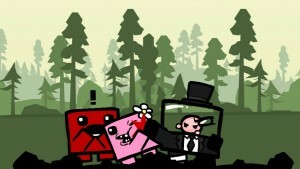 The player watches the pegs light up or the stones topple, pigs perforated by a symphony of broken glass as the tension mounts and in the tradition of le petite mort, sweet release as the conclusion is reached. Upon consideration, the experience seems similar to playing a slot machine. The part where it transitions from consequence to what is essentially luck is the brilliant bit. It’s a win-win scenario for the player: if the player’s choice yielded a desirable outcome, I suspect the player takes full ownership of that victory and experiences a genuine surge of pleasure. When the shot fails to deliver it’s easy to shrug off because the blame for that outcome just isn’t very sticky: it was the ball, the physics, if only that peg wasn’t there, the bird ricocheted off of the pig’s exposed femur bone. The player is offered a psychological loophole, a get out of loser free card. The player discards the failure and moves on. On a completely unrelated note I was playing Super Meat Boy while brainstorming ideas for this article and… epic character establishment. Is there anything we need to know that these two frames don’t tell us?